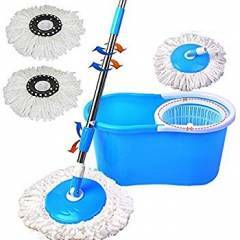 Reaches under furniture and hard to reach areas and Provide effective cleaning. Micro-Fibre Refill with super Absorbent Capacity. As a bachelor, i would love to recommend it to all who stay all by themselves. Easy and simple way to keep your room clean. Doesnt require much efforts. 5 of 10 users found this review helpful. Was this review helpful?